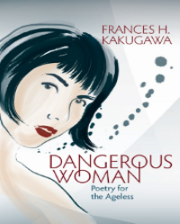 In her fourteenth book, Frances H. Kakugawa assembles her collection of poetry spanning sixty years of previously published works and new poems. They range from grappling with answers to existential questions to a compelling need to understand our relationship with nature and the world beyond the self, to a humble wave at an old friend. "My first book of poetry was published when I was in my 30s. Fifty years later, I am still here. Who would have thought poems written in my youth would still speak to me today? My search for self, love, joy and meaning in life continues as it should. Or, perhaps I should say, as it must." Author Frances H. Kakugawa is an award-winning, internationally published author of fourteen books, and a regular column, "Dear Frances," for caregivers in the Hawai'i Herald. She conducts poetry readings, workshops and lectures throughout the country. In her sessions for adults, Kakugawa shares with honesty and openness the lessons learned from caregiving. Programs for hospital and elder-healthcare professionals focus on humanizing their clinical skills. In her children's workshops, Frances introduces students to poetry as a way to explore and embrace their elders and other aspects of their lives. "A beautiful and thoughtful exploration of the many emotions and experiences of caregiving for a loved one with dementia. Caregivers reading this book will learn that they are not alone and may also find a way to reframe their caregiving journey." The challenges of Alzheimer's disease, the physical burdens, financial costs, emotional turmoil and family strife can reduce our loved one to a 'he' or a 'she,' a person almost devoid of humanity. As caregivers, our lives revolve around the basics, like doctor's appointments and dressing, feeding and cleaning up after our loved ones. Their life becomes our life; our life becomes theirs. But who are they now that this disease has taken over? And just as important, who are we? In I Am Somebody: Bringing Dignity and Compassion to Alzheimer's Caregiving, dignity-in-caregiving advocate Frances H. Kakugawa presents a new vision of caregiving. 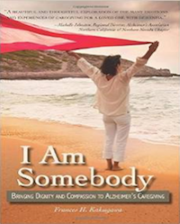 I Am Somebody is a reminder that both loved one and caregiver deserve compassion, respect and a life with dignity. As a caregiver for her Alzheimer's-afflicted mother for many years, Kakugawa often felt embattled and at odds with her mother. Through writing, she had a revelation. "I wrote a poem, from my mother's point of view, imagining what she would say: 'When I soil my clothing, or do something absurd, / Do not tell me, "Why didn't you?" / If I could, I would.' This idea came to haunt me and became my mantra whenever I wanted to shout in exasperation, 'Why did you?' or 'Why didn't you?'" "Frances' work inspires our capacity for generosity and compassion and motivates us to action. Read, savor and share."